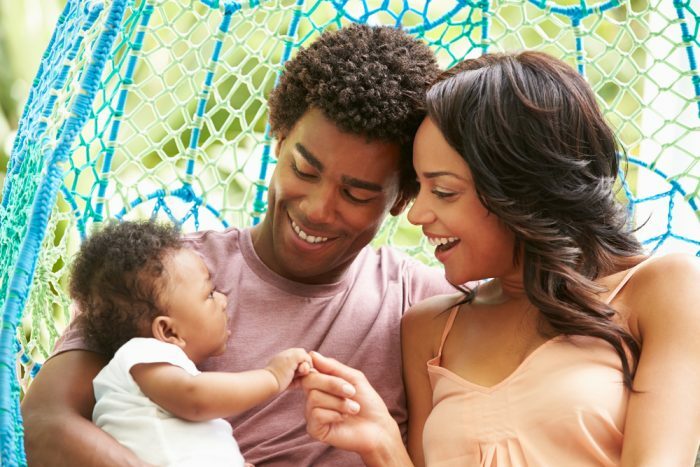 You already know about the so-called “arms race” in which companies are upping the ante on parental leave plans and other family-friendly benefits in an effort to recruit and retain today’s top talent. And you’ve seen the headlines – hardly a week goes by, it seems, without another company announcing an expanded maternity or paternity leave plan. With so much noise it can be hard to keep track of the trends. With that in mind, here’s a look at some of the latest parental leave trends that you need to know about. File this under “It has to be 2016 to be believed.” Publications from BuzzFeed to Scary Mommy to the Washington Post are reporting on a slightly depressing trend spreading in which moms are crowdfunding in order to have some financial security after giving birth. You know, because the United States doesn’t have a policy mandating paid leave for new moms after the birth of a child and only 12% of private sector employees have access to any kind of paid parental leave. According to the Washington Post article, a GoFundMe search of “maternity leave” turns up about 1,500 results. The “TODAY” show reported there are about 6,000 campaigns with “maternity leave” or “child care.” Sounds crazy, but is it really? Almost a quarter of new moms return to work within two weeks of giving birth – largely due to financial pressures. And we know child care is the largest household expense for American families. It’s common to see stories of support pouring in for families who use crowdfunding sites to cover bills after a hospital stay or unexpected event. Given the state of parental leave in the United States, is crowdfunding maternity leave really all that different? We’ve called it “The Zuckerberg Effect.” But really it’s another sign of the changing times. Modern dads want to – and, often, need to – be more involved in caregiving than past generations. And that starts with taking paternity leave. So it’s not surprising that 89% of fathers say it’s important for a company to offer paternity leave. Working is reality for today’s parents. More than 90% of dads and more than 70% of moms work outside the home. Research has shown that when new fathers take paternity leave, there are long-term positive effects on his child and his partner. The trouble is that prevailing corporate culture has not yet caught up to these changes. Even as more dads want to take their leave, many are afraid to take time off out of fear of appearing less committed to their jobs and hurting their careers. You can read Care@Work VP and GM Michael Marty’s take on this type of “dad-shaming” on Fortune. Earlier this year, Etsy got a whole lotta love here and across the internets for unveiling an upgraded 26-week parental leave policy that was flexible, gender-neutral and lauded as “basically perfect.” Before Etsy, Netflix rolled out an “unlimited” maternity and paternity leave policy for new parents. In April, Twitter announced it was increasing its parental leave policy to 20 weeks of paid leave for all new parents. US and Papua New Guinea – we share the dubious distinction of being the only nations without a federal policy providing paid leave for new moms after the birth of a child. More than 70 countries also mandate paid leave for new dads. Not a great look for a global economic leader. The good news is there’s momentum building in support of paid leave legislation, like the FAMILY Act, for example. New York recently became the fourth state to mandate paid family leave, following California, Rhode Island and New Jersey. (Washington state passed one, too, but hasn’t done anything with it.) Many cities – from Austin to Boston to Washington, DC – have also passed paid leave policies, and San Francisco recently one-upped the state mandate and passed a law requiring employers to provide fully-paid parental leave. It’s true that the lack of a national parental leave policy for new moms (and dads) leads to a focus on employers who offer generous maternity leave and paternity leave programs. But we’re beginning to see leading companies invest in supports for working parents once they return to work. The “flying nannies” of Wall Street are an extreme example, but hundreds of great places to work also provide employee benefits like backup care, child care resource and referral and flexible work arrangements that have less flash but more substance. 90% of employees have left work, and 30% cut back by more than 6 hours per week, due to family responsibilities, according to care@work’s Better Benefits survey. 89% of working parents want family care benefits, but 81% say their employers don’t offer any. Parental leave is the poster child of family-friendly workplaces, but it’s only one element of a comprehensive solution. When faced with the reality that in most modern families all parents work, more and more employers are realizing that investing in family-care benefits is a competitive advantage. This article first appeared on the Care@Work blog. Patrick Ball is a digital content manager for Care@Work, the enterprise arm of Care.com helping global companies support employees through family care benefits that inspire, engage and energize their workforce.